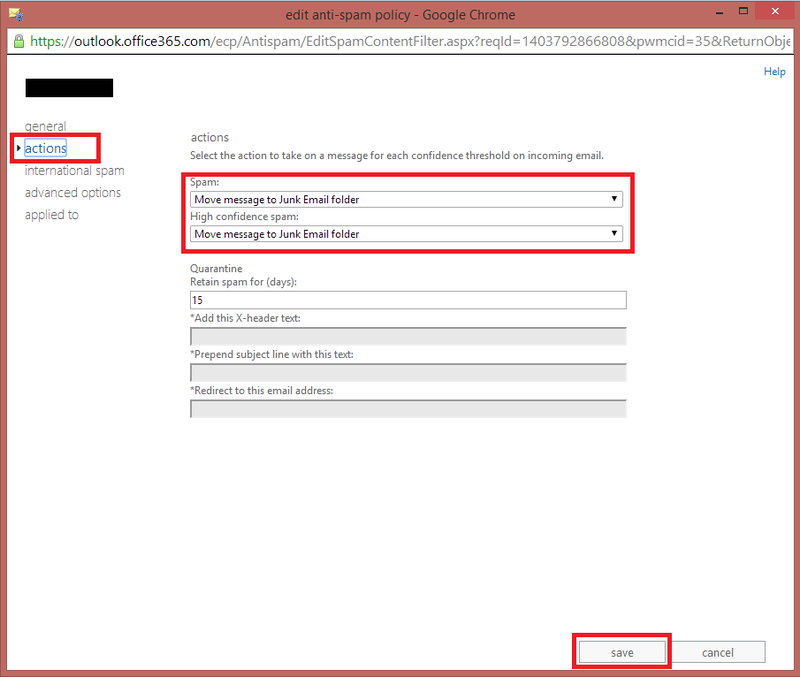 Change content filter Office 365 to move mail to junk folder. Let’s adjust the spam mail to move to Junk folder. You can change the default Content Filter at Exchange Online, go to Exchange, Protection and Content Filter. Open the filter who you want apply this change. Change the actions and then, click Save. Always is important to conduct monitoring.